Mount Rushmore National Memorial is arguably the largest sculpture in the world carved out of a granite mountain. The depicted faces are of four former US presidents; George Washington, Thomas Jefferson, Theodore Roosevelt and Abraham Lincoln. 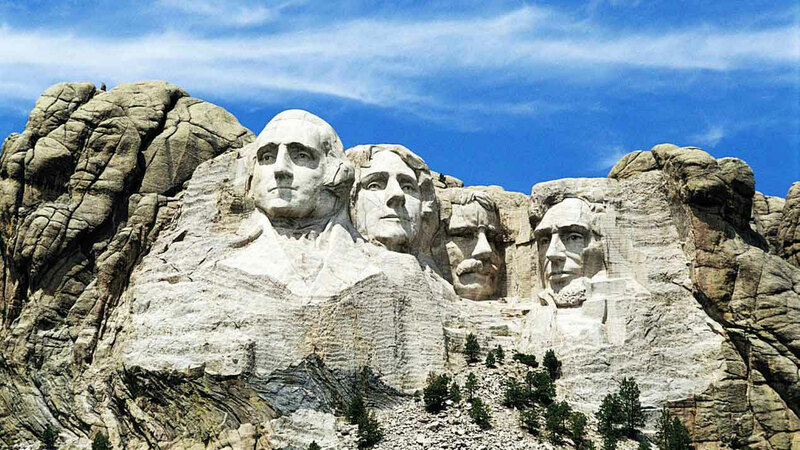 Although Mount Rushmore was originally planned to include each of the presidents’ bodies from the waist up, each head measures a staggering 18 meters high. This mountain sculpture is located in the Black Hills region of South Dakota by Keystone and is traveled by over 2,000,000 tourists a year.